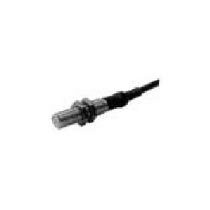 Proximity Sensors that we offer are CE approved (complies with EN 60947-5-2 CE (DC). We are enlisted among the reputed Suppliers of Proximity Sensors. Reverse polarity, short circuit, surge and EMC protection are the essentials parts of Proximity Sensors. The best thing about our Proximity Sensors is that they have excellent protection against incorrect wiring, overloads, transient and environmental frequencies. One can obtain these sensors from us in small as well as bulk quantities.